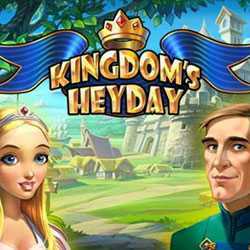 Kingdoms Heyday is a Time Management game for PC published by Big Fish Games in 2013. The kingdoms needs you to rebuild it nicely. When the king leaves the kingdom, His daughter gets the control of the valley. But she can’t do this alone. She needs your help so much.